Purchasing through this link supports Newsshooter. ? The FS7 is most often seen pictured with Sony’s new E-mount 28-135mm F4 Cine servo zoom lens on it. This lens is designed specifically for video shooting (although it can be used for stills) and has proper manual control of focus, iris and zoom, along with a servo controller for zoom from the FS7 handgrip. The lens covers full-frame and should be available in a kit with the FS7 some time towards the end of the year. Optical quality is unknown at this time but I expect it to be at least good enough for broadcast use. While I really love the idea of this lens I do think the range isn’t really wide enough for the FS7’s Super35mm sensor (although it may be just the ticket on the full-frame a7S). For run-and-gun, 28mm on Super35 just doesn’t cut it. The new Canon 17-120mm and Fujinon’s 19-90mm cine zooms have much better wide angle coverage, but at great cost; the Sony Cine zoom would be much better if it had a similar wide field of view. So what are the other E-mount options if you start using stills lenses instead? Sony native E-mount lenses – are they a good option for the FS7? There are actually two ranges of E-mount AF lenses from Sony, the original NEX APS-C line and the newer full-frame FE lenses designed with the a7 range in mind. Both fit the FS7. 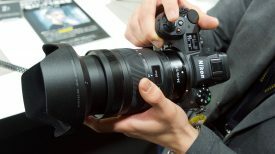 As they were designed specifically for mirrorless cameras with shorter flange distances, the lens designers have been able to design smaller lenses. Most also feature rapid autofocus. Some of them also offer Sony’s OSS image stabilisation, which is very useful. In addition, Zeiss, Tamron and Sigma also make compatible E-mount lenses. On paper Sony’s E stills lenses sound great, but there are several limitations when using them for video shooting. On the FS7, for some reason the current firmware requires the operator to turn the aperture dial (either on the grip or the camera body) several times to achieve a one stop shift in aperture. This means that making a quick iris adjustment to compensate for changing lighting conditions is pretty much impossible. It also makes getting the exact aperture value you want a little slower. There seems to be some lag as the aperture adjusts if you turn the dial too quickly. On the plus side, opening and closing the iris is remarkably smooth and not ‘steppy’ like some other AF lenses – adjusting the iris carefully while filming is certainly possible with most E lenses. 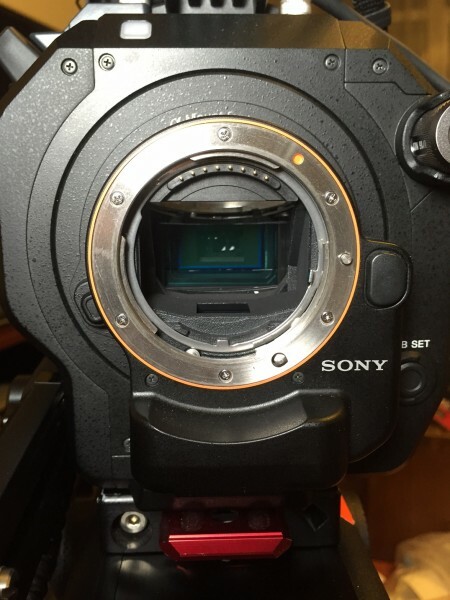 Other Sony cameras do not function the same way with E-mount lenses. The a7S and FS100 I tested have much faster and more predictable aperture adjustment. Sony really needs to fix this and are aware of the issue. I am cautiously optimistic that we might get a solution from them in a future firmware release, but for now it does deter me from using E-mount lenses with the FS7. The focus system on these lenses is electronic fly-by-wire and not mechanically linked to the focus ring. The speed of focus is determined in part by how fast you turn the focus ring, not just how far you turn it. There are no focus markings on the lens and the focus ring spins continuously. This makes small focus adjustments tricky and follow-focussing hard. I find it much harder to manually focus accurately than a good mechanical lens, or even a recent Canon AF lens. Nice smooth manual focus pulls are also nearly impossible to achieve using these lenses. But the lenses do focus the ‘right way around’, the same as most ENG and cine lenses. Autofocus on the FS7 is pretty quick. You can assign it to a button on the body or grip and it is usually pretty accurate although it does miss occasionally. When using AF I still feel the need to magnify the image afterwards to make 100% sure the camera got it right. The AF does not smoothly transition in the same way that Canon’s Dual Pixel CMOS AF does. Instead, the FS7 tends to hunt a little towards the end of the AF action – meaning you probably won’t want to use it while the camera is actually rolling. It is pretty useful as an aid to getting focus before you roll, though. One particular lens that I do like is the inexpensive image-stabilised 18-105mm f4 Power Zoom lens. This is unique in having a constant aperture and a good wide to tele zoom range coupled with servo zoom control from the FS7 handgrip. The lens distorts quite heavily without in-camera electronic distortion correction (which stopped many FS700 owners from using it), but luckily the FS7 has in camera correction in HD mode and also in some, but not all, 4K configurations. Sharpness is pretty good and the bokeh is fair – pretty much to be expected for a cheaper zoom lens. Manual focus is tricky, as described above. But for run-and-gun it offers a pretty good combination of features which no other lens has and it’s the one I tend to leave on the camera in case I need to grab a quick shot while travelling. I also have a Sony 70-200mm F4 FE lens which is wonderfully light and sharp on the FS7. The OSS system is great, but the big downfall for video is that manual focus again. Other users seem happy with the fly-by-wire system but I really have a hard time using it on this particular lens. Wide angles are perhaps not so bad as hyper accurate focus is not as critical. During interviews a slight move forward or back by the subject is hard to keep focussed. I struggle to decide whether to keep this in my bag and save my back, or go for a more conventional 70-200mm. 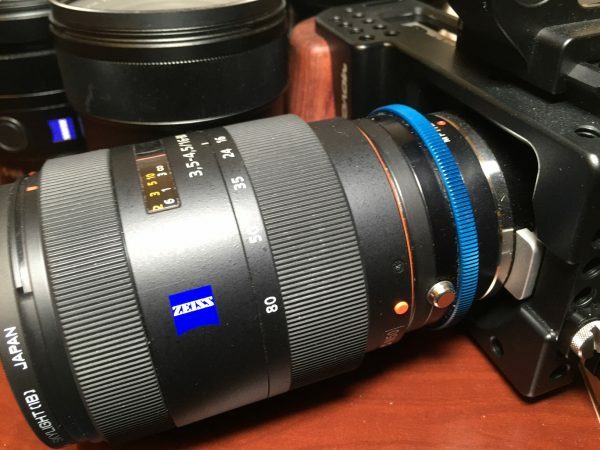 On the ultra-wide end I have the Sony 10-18mm F4 OSS lens and also the Zeiss 12mm f2.8 Touit. Both are quite useful. One issue to watch for with the FS7 and wider E-mount lenses is that it is particularly easy to have the EVF creep into shot. On a tripod this is easily remedied by moving the EVF out of the way – but in handheld this may be unavoidable with some lenses. 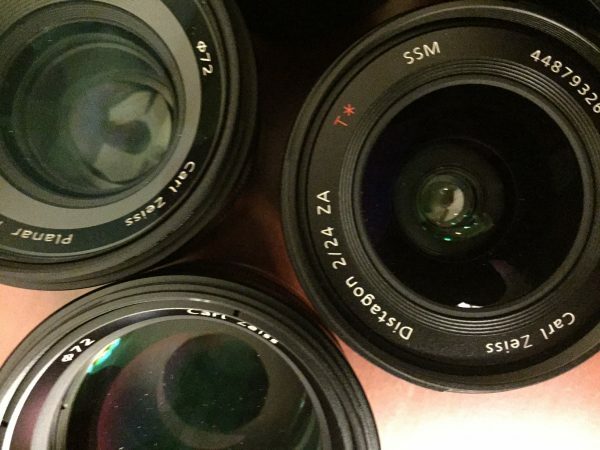 The primes are pretty nice – especially the Zeiss branded 24mm f1.8 and 50mm f1.8. These seem a bit easier to manually focus for some reason. They are wonderfully small and sharp and have good bokeh. 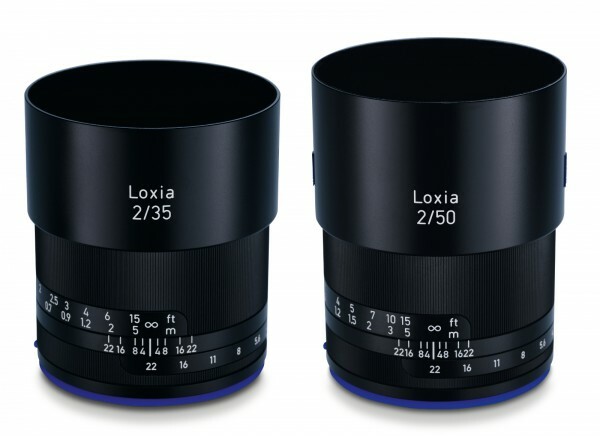 What I really want to try are the Zeiss Loxia manual focus primes. These are native E-mount lenses with fully mechanical focus but electronic contacts and a high degree of image optimisation for the Sony cameras. There are only 35 and 50mm lenses right now, but hopefully this range will expand soon. The range of available focal lengths is also limited due to the newness of the system, although Sony are adding new ones constantly. If you want or need smaller lenses and are happy to rely heavily on autofocus then maybe Sony E glass is for you. 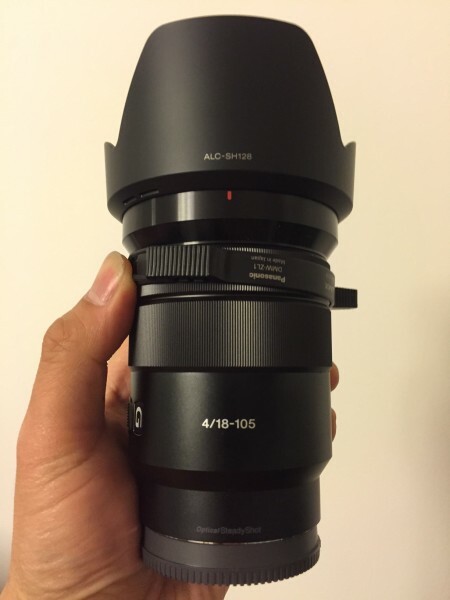 Sony A-mount lenses – are they a serious option on the FS7? Before there was the E-mount, Sony inherited the A-mount range of SLR lenses from their acquisition of Minolta. They continued to develop the series and it is pretty comprehensive. It includes several lenses made in conjunction with Zeiss and the construction of these is first rate. Focus direction is the same as on Canon lenses and that makes them easier to operate for most users. On the downside, there is no image stabilisation on Sony A mount lenses. As well as genuine Sony/Minolta lenses there are a plethora of inexpensive A-mount Tamron, Sigma, Tokina and other third party lenses to play with too. A special favourite of mine is the old Tokina 28-70mm f2.8 ATX lens which has lovely manual focus. I bought it used for around $100. 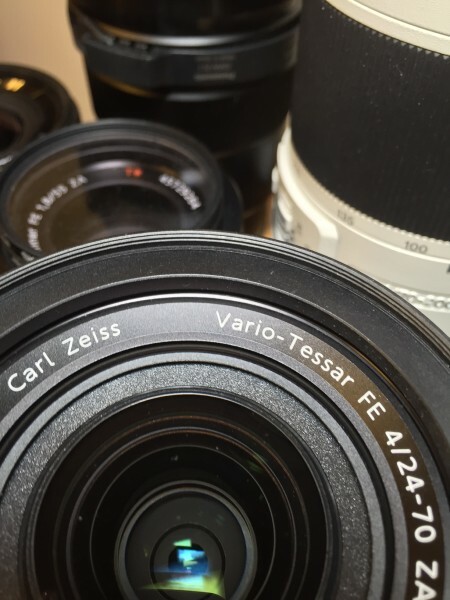 The stars of the range are certainly the Zeiss ZA 24-70mm f2.8, 16-35mm f2.8, 24mm f2, 135mm f1.8 and 50mm f1.4. The zooms are nicer in operation than other AF stills zooms I’ve used and I prefer the feel to my Canon 16-35mm and 24-70mm. 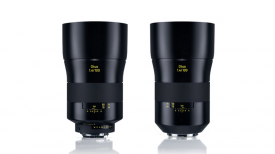 The Zeiss ZA primes are every bit as good optically as their ZE and ZF counterparts. 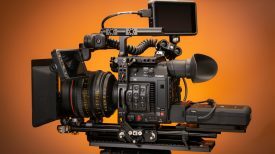 The main thing that is lacking is a Super35/APS-C format wide to tele fast zoom for the FS7 – the same issue as with competing stills lens systems. For now I am resigned to a lot of lens changes during shoots. When the E-mount was launched Sony decided not to orphan these lenses but instead provide their own electronic adapters. The first was the LA-EA1 which gives control over iris from the camera body and very slow contrast detection AF – when I used it in the past the iris closed down as expected, but when opening it up the image would ‘flash’. The iris for some reason needed to open to its maximum before closing back down to the value you set – causing a brief overexposure that looked like a strobe has gone off. This was obviously useless for adjusting iris while shooting video and it is something we will see more of when we come to examine the Metabones EF to E-mount adapters. The second Sony adapter was the LA-EA2 which essentially houses the AF system from a Sony DSLR in its body. An innovative translucent mirror in the adapter splits off a small amount of the light to a phase detection autofocus sensor in the adapter – there is a slight loss of light, but this is nothing to worry about with today’s super-sensitive sensors. The better news for video shooters is that the ‘flashing’ issue does not occur as the iris opens – hallelujah. LA-EA2 autofocus speeds are comparable with a DSLR, but the camera must be in auto and the iris set at f3.5 or smaller for the AF to work. This limits its application for movie shooting, but you can use it as a kind of Push-AF before you start to roll. It is useless during a shot as every time you activate it, it gets brighter and the white balance goes to auto while the AF is on. The LA-EA1 and EA2 were designed for APS-C sized sensors. The newer LA-EA3 is the similar to the LA-EA1 but for full-frame cameras. The LA-EA4 is the full-frame equivalent of the LA-EA2. I tested the LA-EA2 and LA-EA4 and found them to behave identically on the FS7. Electronic iris control was much better than with native E-mount lenses. On the FS7, changing aperture took far fewer clicks of the dial per f-stop, although the exact number of turns was still not consistent. Being made by Sony the adapters mate very well with the FS7 body and there is little wiggle or play in the mount. A tripod mounting screw hole on the base of the LA-EA2 and LA-EA4 can be used to secure the adapter further if you need to use longer lenses. What makes Sony’s A-mount lenses different to Canon’s is that the aperture is still controlled from the body (or LA-EA adapter) via a mechanical level. Canon EOS lenses are all electronic and so without power there is no way to adjust iris. This means the A lens aperture can be controlled by a simple ‘dumb’ mechanical adapter in the same way that most Nikon lenses can. This makes them about the most suitable AF lens out there for adaptation to video. 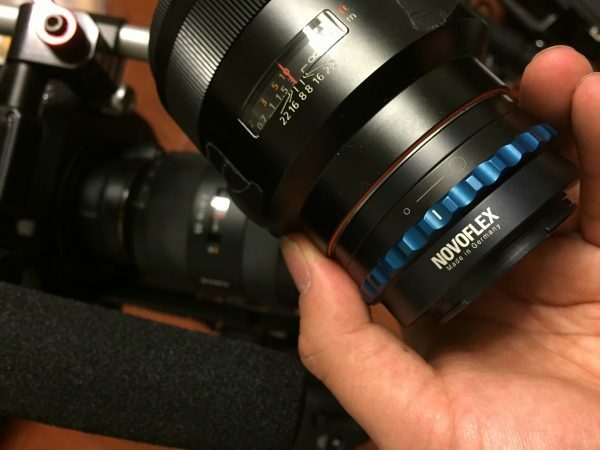 Novoflex make a very nice adapter allowing you to use A-mount lenses on E-mount cameras. It is purely mechanical and has an aperture ring on the adapter that links to the iris control. It is wonderfully smooth and can be easily used to tweak the aperture during a shot if needed. The only real downside is that being linked by the lever means there is no indication of the actual aperture value – fine for my kind of real world shooting but maybe an issue if you are doing more technical stuff. 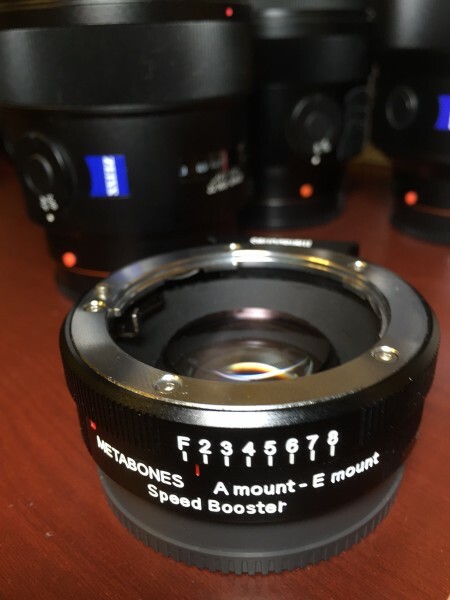 Better still, Metabones have made a A-mount to E-mount Speedbooster for use with full-frame A lenses. 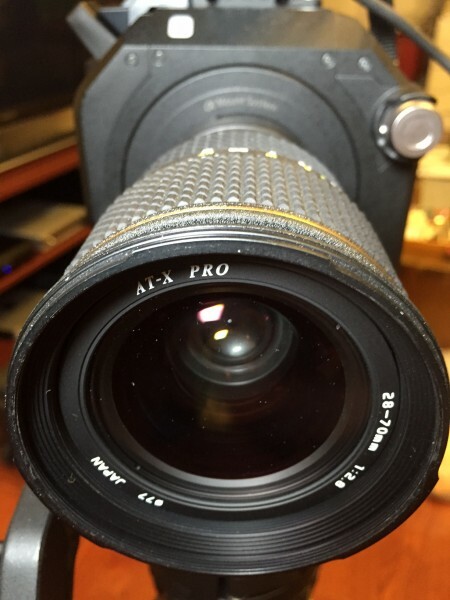 It optically reduces the image to fit the FS7’s S35 sensor. The end result is an image that closely resembles what the same lens would look like on a full-frame body like the a7S. A by-product is an approximate one stop gain in brightness due to light being concentrated onto a smaller sensor area (the depth of field remains as it would for the original lens aperture). The Speedbooster has a similar mechanical iris ring to the Novoflex and allows for smooth iris transitions. The only major downside with this adapter is that mine does not fit very tightly and tends to wobble too much any time I touch the lens for focus – especially with longer lenses. Hopefully this can be improved by Metabones with a second Ultra version (the Ultra versions have improved optics but an A-mount to E-mount has not yet been announced). As a bonus, these lenses can also be easily adapted to Micro four-thirds cameras like the GH4 using a Novoflex adapter, or used on the Sony F55 and F5 using a Kipon adapter. 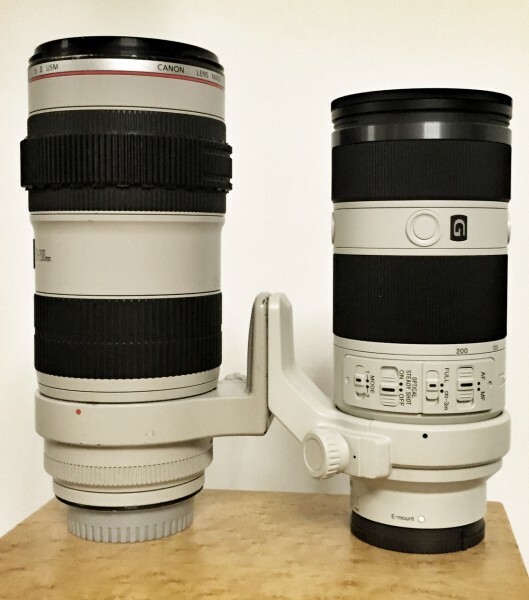 Sadly they can’t be used on Canon EOS cameras due to the flange distance. 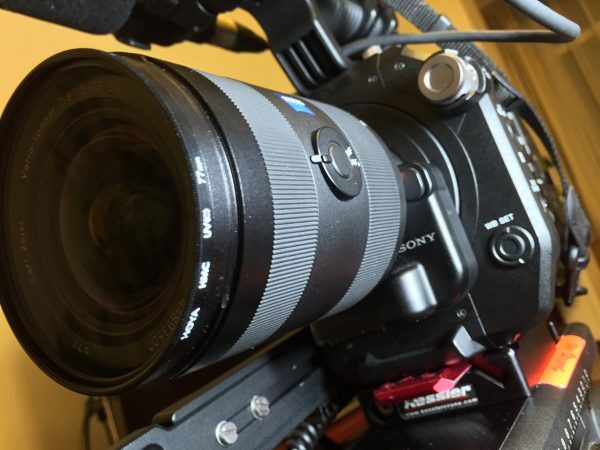 If you want an all-Sony lens solution for the FS7, then in my view the A-mount operates best and has most available options at time of writing. Native E-mount lenses have huge potential on the FS7 but Sony needs to address the basic operational issues before I start to use them more regularly. 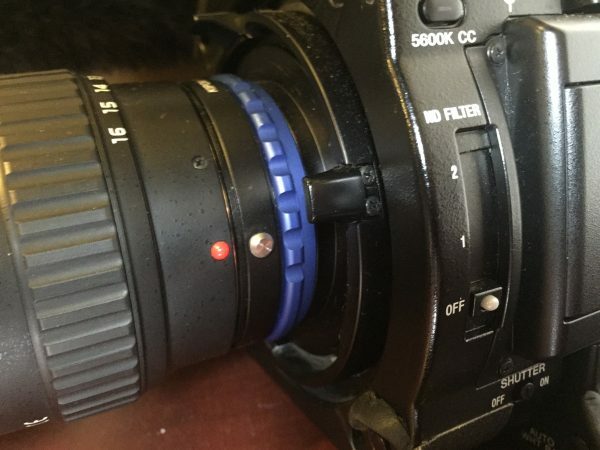 In my next article I will tackle the tricky subject of using Canon EF lenses on the FS7. Stay tuned. Co-founder of Newsshooter, Dan Chung has over 20 years of experience working behind a camera. His career started in photography but evolved into documentary, multimedia and broadcast TV. He shot the first news video on a DSLR and has been on staff at Reuters, The Guardian and CNBC. Dan heads up the editorial team at www.photogearnews.com.